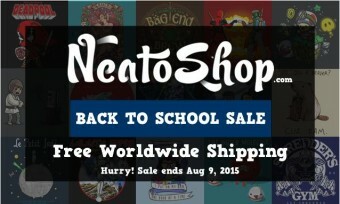 Our very good friends over at Neatorama are currently running a big Back to School sale offering free worldwide shipping on all their numerous T-shirt designs, all printed on ultra-high quality shirts using state of the art printing equipment for the best and longest lasting prints money can buy. They also offer sizes from baby to 6XL, so you’re sure to find something that fits perfectly. 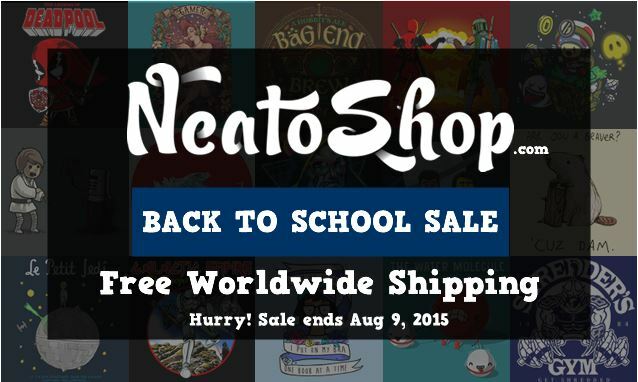 The sale ends soon (this Sunday), so if you’re looking to stock up on some awesome T-shirts for the school year at a great price and with free shipping no matter where you are, go check it out before it’s too late!